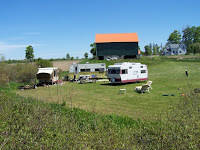 Life by the Creek: More camping fun! 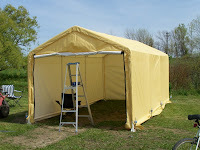 We had bought a 10x20 garage to use at the campsite for a 'multipurpose' hut. Great for eating, school, storage etc. in the shade! While Dad and the boys (and Linda!) 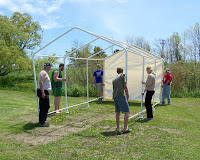 were here, it was a great time to get it assembled and put in place. Hurray! Jeff ran a string of LED lights along the peak of the roof, and it's just enough light. Can't wait to use it! Let's say....in a couple of weeks?